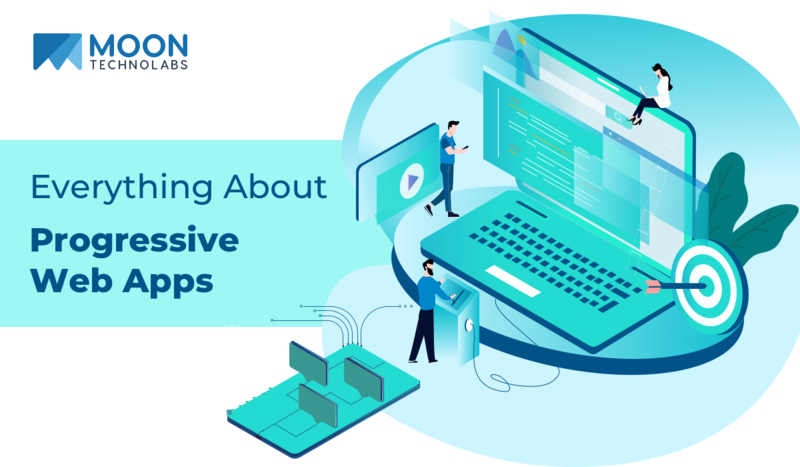 Progressive Web Apps (PWA), the term that was coined almost 4 years ago now, is still at bay when it comes to spreading its presence across diverse businessmen. Moreover, a lot of top mobile app development company think that it is going to lead the software industry in the future. PWA offers variants of features that will change the way for any business to represent its brand, product and/or services. PWA is easy to install and access from any device. It is also easy to send push notifications and most importantly, work offline. In the first go, it will be difficult for you to identify the difference between PWA and native ones. Progressive web apps differ from conventional apps and also can offer more advantages. Let’s see what are the advantages they have to offer to various business segments especially to e-commerce or online market sector. Before we move ahead, let us take a glance over and make a short note on progressive web apps vs native apps. 1) Adaptive Layouts: PWA can be installed in any device in Google, Opera, Firefox browsers irrespective of the device screen size. The layouts improvise according to the device’s screen and hence, make them more responsive in the race. 2) Easy Development: Experts from the software industry and any of the top mobile app development company believes that it is easier to build PWA rather than creating websites. Through the users’ perspectives, there won’t be much noticeable difference in terms of performance as they both provide instant notifications, icons, and responsive design. 3) Same Code: Unlike traditional apps, progressive apps function with the same site code. These apps do not require API with backward compatibility. Progressive web apps open lots of benefits and advantages for users and business. Let’s see them one by one. 1) Direct Download – Users can easily download these while browsing the web or from the links in social networks. 2) Interest-based Criteria – Users are prompted to install a progressive app only after making sure that the user is interested in services by checking the perpetual site visit. 3) Instant Download – The components pertaining to download the app is already been installed in the cache hence, it doesn’t require a long time and neither users need to go to app store. 4) Avoid Large size Apps – Due to the installation via browser, progressive apps are lightweight and smaller in size as compare to native iOS or Android apps. 5) Access Offline – Even though a user has not installed it but still he/she would get push notifications, offline work and will have access to all the other functions. 1) Pocket-friendly – PWA works on the principle of ‘code once and runs anywhere’ due to which it naturally takes away the cost of maintenance & tech support associated with other traditional apps. 2) Higher Retaining Ratio – PWA works offline and hence, allows users to remain on the site and browse without access to the internet. 3) Faster Page Speed – Progressive apps are known to be twice as fast in downloading time as compared to native apps. This helps users to stay and not leave the page. 4) High Conversion Rate – Users are able to extract information using any device they prefer as PWA allows seamless browsing experience. Due to this, PWA increases the conversion rate and time spent by users on site. The scenario of the mobile apps is changing with the PWA acquiring the center stage as the tech is constantly evolving. The future can’t be defined from now but it is for certain that the progressive web apps have changed the market place as of now. Moon Technolabs is one such top mobile app development company, constantly involved in the research and development of the website and mobile apps design and development. Get in touch with us right away for a free quote if you wish to develop a Progressive Web App For Your Business. The future of the ‘Open Source’ model is becoming prominent and promising day by day. One of the prime reason it has gained momentum is due to cloud computing. 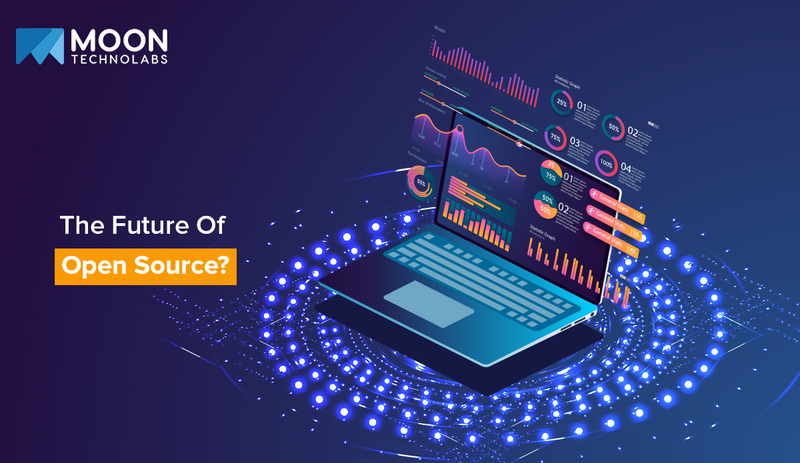 To name a few, cloud services from Google and Amazon which are basically built on open source technologies has paved an immense way for the development by offering solutions to data management or big data applications depending upon the open-source. Due to the various developers working on the open-source code makes it more likely to deliver secured solutions. Since developers modify the results to achieve higher quality makes the OS undergo constant evolving cycle in real-time. Developers are able to edit and customize the open-source software as per their requirement which is impossible to do with proprietary software. There are no restrictions on how many times a user is accessing the software and also on any device. Open-source programs allow more flexibility. Take, for example, Windows, which is closed-source. Hence, users are not able to modify the Windows 7 interface and use it on Windows 8. Due to the open forum and global community support of top mobile app development company and individuals, open-source software solutions are efficient and pocket-friendly to evaluate and implement these solutions. These world-wide communities often introduce new features in a more efficient way rather than internal teams working on proprietary software. The combined force of skilled developers working together from every corner of the world does not only contribute to the rapid development process & troubleshooting but also an overall increase in the pace of innovation. People from non-technical backgrounds prefer open source as it helps them to become better programmers. Most beneficial for students as they keep on learning and growing their skills to develop better software by inviting comments and critique while they work. They can always take help of their superiors by posting a query in the program’s source code. Android, Chrome OS, and Apple’s OS X or iOS are built on open-source code with former on the Linux and other open source software and later on Swift which was also made open-source by Apple. 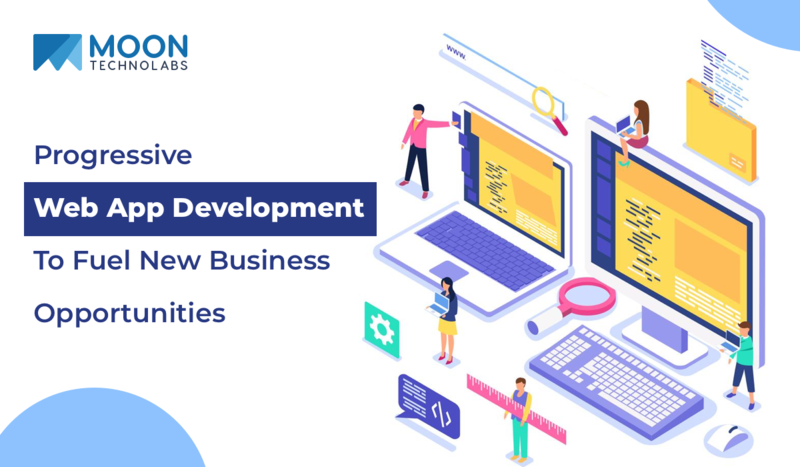 At Moon Technolabs, we are constantly involved in bringing new innovation to technology through the medium of our mobile and web app development services to provide customized solutions to our clients throughout the world. There are many web developers and web development companies who already have or want to jump in with both feet and remain in the competition. There is a bigger notion involved when it comes to the popularity of web development as some developers/companies are just want to be associated for the namesake while few are genuinely attached because of their skills and experience or can be successful via freelancing. 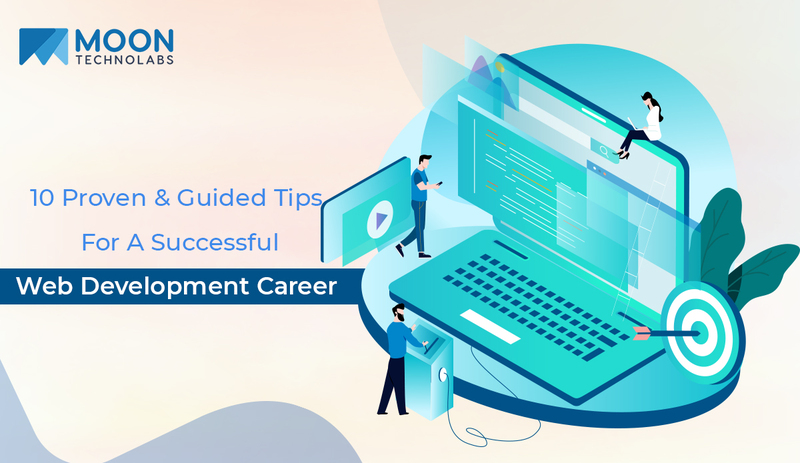 In order to remain and strive in such competitive world, below mentioned are few web-tested tips for a successful web development career. Web development is a vast field and has many aspects of development. One cannot expect to conquer all fronts. For a successful web development career, you’ll need to choose one area of your interest and have to specialize in it. You could choose to gain your expertise in web design, front-end, back-end (you’ll need to learn web programming skills), etc. However, it is in your best interest if you choose to master one rather than to concentrate on all fields. This is a salient quality that should be possessed by anyone who wants to be successful in his/her career and does not only limit to the field of web development. WordPress web development is huge and requires sincere attention in coding or designing. The more time and effort you’ll put in, the more you will stand out from the rest. The portfolio of your work is the best way to impress clients and the prospective ones too. The portfolio will reflect your level of understanding, skills and overall expertise on the subject matter of website design and development. If your clients are happy with your work and genuinely gives testimonials for your work done then it is a cherry on top of the cake. Moreover, the rapport with your clients also plays a vital role in building a successful career. If you are enthusiastic about web development then ultimately you’ll find the solution for any problem that might come in your way. Enthusiasm about any project or job determines how prosperous you are going to be in your field. If you’re excited about your work, you’ll automatically find time to thinking and keep yourself occupied with the project or work or learn new things in the same field. Web development could be a difficult choice of career for some and for others, it might not be the same case. The important thing is to remember your reasons for choosing web development. 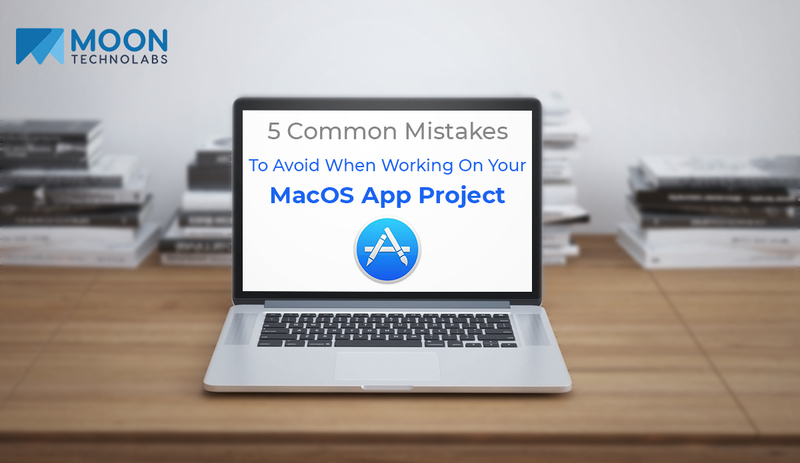 Beforehand, you need to understand that, in a project, you might face deadlines or get stuck in between due to which you might want to give up. But remember as this is part and parcel of any project or job. Hence, remaining firm on your decision will help you to build a successful career in the web development. WordPress is an open-source development platform in nature. This allows open access to the already written code and paves the way for everyone to contribute or improve consistently. The more you take part in these open-source projects, the more you’ll learn and grow your network in the developer’s community. WordPress web development presents equal opportunities as well as hurdles and challenges in the development area. Giving up on any hard task in unacceptable and you need to constantly strive to finish the job in hand with your abilities, skills, etc. WordPress web development is full of fun as in when one is not expecting, it brings you the breakthrough which is quite helpful. But you have to keep on going no matter how hard it is or how difficult it becomes. Perseverance is the key to become successful in web development. Web development is an elegant field in IT. With enormous potential, one can never think of becoming a complete learned in the segment as every day there is something new that gets added on in the field. You have to constantly stay updated with the industry as new programs make its way to overcome the old ones. To be a successful web developer you need to stay true to the cause and be open about consistently learning the new things in the industry. In the early days of your work, you should focus on the experience you’ll gain in coding or designing rather than the project money. Your prime interest should of learning as much as you can from small, medium or large projects. The money would flow in once you gain skills and experience from all these projects. Experience is vital in web development. Creating your online profile helps your clients to know little details and gives background information about your work, company, etc. It is important that when they do the research, your online profile should project professionalism and up to date representation of your skills and achievements. You can also think of creating your own website mentioning all the details of your work and skills sets, etc. Native apps have conquered the market as compared to web application. Native apps are faster than web apps. They always reside on the phone and effort to run a search every time like web page is saved. Web apps till now have been dependent on connectivity unlike native apps, where the basic data can be retrieved even offline. These are few of the major reasons in favour of native apps. 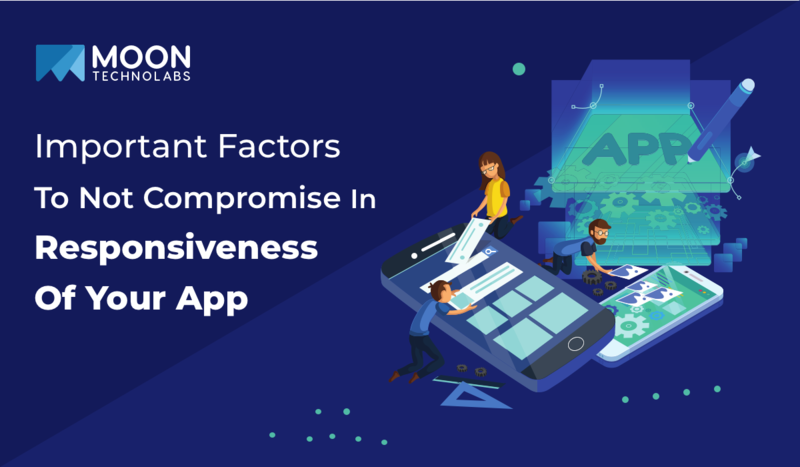 Taking all the factors in account the Progressive web apps concept was introduced. These web apps possess all advantages of any native app and in fact can beat them in many prospects. The UI is stored in the cache using this service worker. It is a script that runs in the background and keeps a check on the network requests, notifications, connectivity and other factors. It serves as the main reason behind offline operation of Progressive web apps. Unlike general web apps, it can be installed on home screen. Since the UI is stored in cache, any selection of app displays UI instantly within seconds. It can be installed and displayed full screen on devices of any form factor. Be it desktop, mobile or tablet. The cache option enables it to work independent of data connectivity. Without internet also the last saved status of the application can be seen. It can be very easily searched on any search engine. It uses HTTPS protocol which makes it safe from any external tampering. It updated automatically whenever connected online. It is very fast and stable. This gives the user an app like experience. It can be used on any device and with any browser. It is created to use the best of available resources on the device. These are created to engage the customer to the maximum with help of notification and other features. The user will be tempted to re-visit the app. Progressive Web Apps have reduced the steps in installing any app. No need to go to play store, search the app, download and install now. Any app associated with Progressive web app can be directly downloaded from it. These web apps once installed, appear as an icon on home page just like native apps. Will the efficient use of memory, user interface and quicker updates, they appear as a better replacement to native apps. It is reviving the old look of web pages with new and better user Interface. In times ahead, we are going to deal with only one type of app for any application serving the purpose of ease for the creators as well as consumers. It seems that Progressive Web Apps are the future of all types of apps.